For years, Bill Miller’s music has moved audiences around the world. 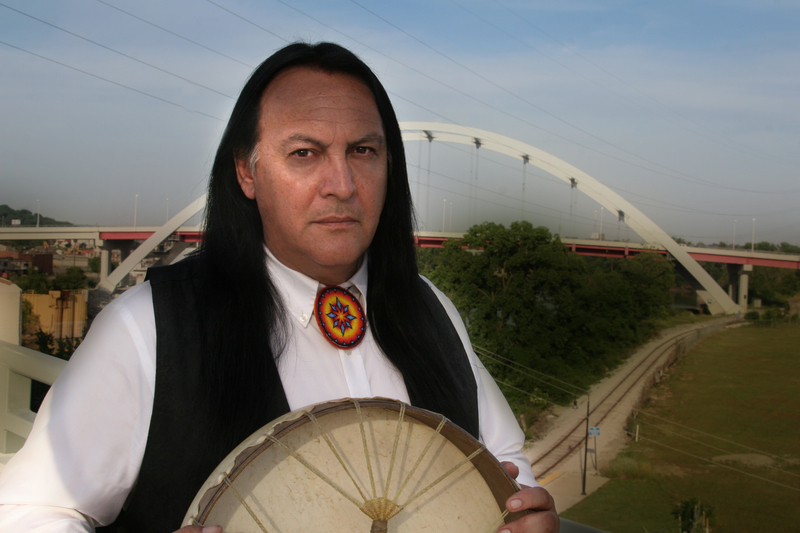 He’s an icon of the Native American music community, having won 3 Grammys in the last 4 years. Bill is an accomplished artist whose paintings are exhibited nationwide. Yet, in the view of singer, composer, flutist, painter and storyteller Bill Birdsong Miller, he's just getting started. Beyond music, Bill is an accomplished painter whose work has appeared in The National Museum of the American Indian (Smithsonian Institution), the Barbara Able Gallery in Santa Fe, the Trickster Gallery in Chicago, and the American Indian Community House Gallery in New York. He is also an in-demand keynote speaker and lecturer, speaking at universities, race relations conferences and cultural awareness programs nationwide. "Making a Difference through Education"
Hi Bill! Okay so you came to my school (Coastal Carolina University) and I just wanted to let you know that I had originally just gone to your presentation because I was suppose to for one of my classes. I wasn't very excited about it. Yet you were AMAZING and definitely surprised me and I wanted to let you know that you are a fantastic speaker and an amazing musician. You definitely made a great impression on me and my fellow classmates. Just today I spoke to a couple other people that attended last night and no one could stop talking about you and how awesome the music was and your presentation want spellbinding. You surprised us in a great way and got us thinking about EVERYTHING that you spoke about. I just thought you might like to know how great we all thought you were and how you affected each of us on a personal level. Have a great day and keep on amazing people! Bill is available to talk, sing or share his experiences that might help Medical school student better understand Native Culture, practices, alternative medicine traditions or other potential topics that may help our future Healthcare providers become more culturally competent in serving the wide array of Native cultures. His medical targeted presentation often involves a combination of music, sharing his story and discussing/sharing some thoughts on how health care providers can be more effective in gaining the trust of Native people, recognizing that cultural difference in views and medicinal practices do not necessarily have to hinder patient centered care. Bill opens in song with a hand drum or native flute. After a brief review of his Mohican tribal history and an intimate look into his native culture, he shares three personal stories. His journey from victim to victory is charted and he illustrates the wisdom of “the twelve feathers of healing” to model his vision of transformation through reconciliation. Bill illustrates the relationship between majority and minority cultures, the ineffectual result of teaching tolerance and assimilation, and instead promotes a redemptive culture of understanding and peace. A formally trained artist and seasoned painter, Bill shares his historical and cultural overview of Native America, while demonstrating on canvas the use of three traditional elements—function, beauty and spirit. He completes the lecture with a discussion period and always offers the painting to the students for completion. With an authentic perspective, Bill encourages students to acknowledge their heritage and core vision. A seasoned musician, performer and road warrior, he uses his experience in touring, recording and songwriting to inform and inspire those with a desire to contribute through their musical gifts. 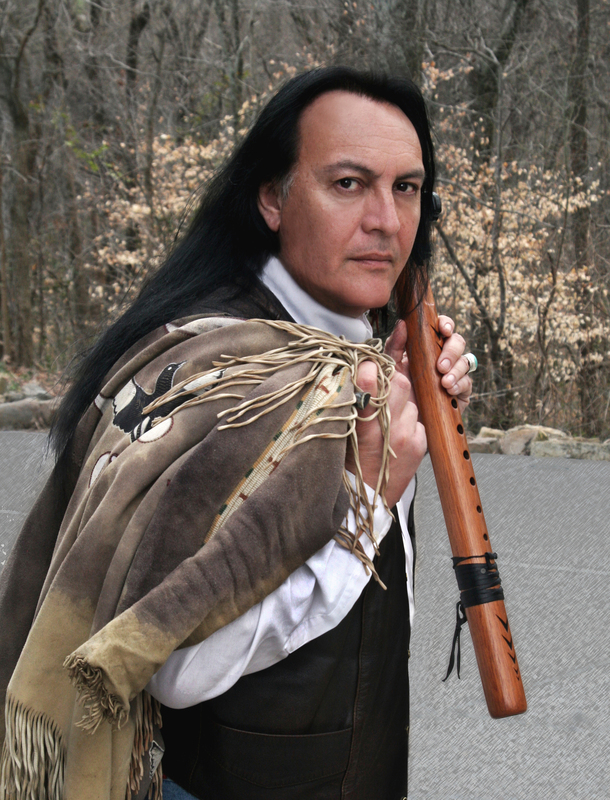 Included is an overview of the history of Native American music, both traditional and contemporary, plus a discussion and demonstration of the native flute and drum. He focuses on one of three areas of expertise: songwriting, publishing and recording; touring, management and booking; and media, marketing and promotion.